Product #15733 | SKU 2066840 | 0.0 (no ratings yet) Thanks for your rating! Compact & Tangle-Free Connect your iPod or iPhone to your car stereo, home stereo, portable speakers, sound card or any device that has a 3.5mm jack. 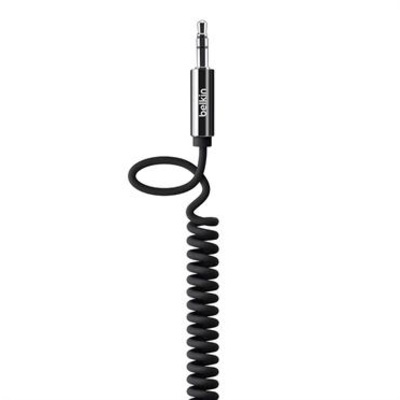 The coiled cable prevents tangles and makes storage easy. Part of the MIXIT? Collection Mix it up with chargers, cables, audio and power accessories that come in a full line of hi-tech hues.